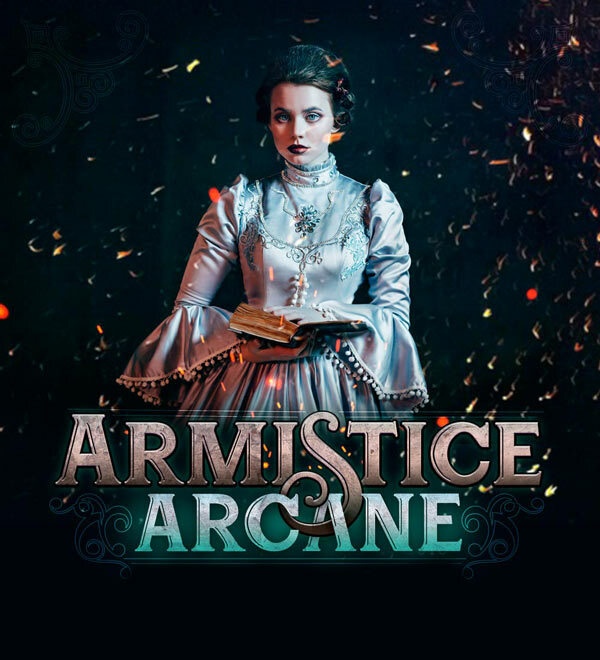 The Armistice Arcane is a blockbuster LARP that provides not just a game, but an experience. We are all-inclusive, which means we provide all players with a weekend of immersion with all lodging and food included. We also provide a number of items, depending on which package you purchase, to enhance your in-game and out-of-game fun. The event is being held at the Le Pavillon Hotel in New Orleans — a Victorian Era luxury hotel with spacious, well-equipped rooms, thematic decorations, delicious catering, and a beautiful view of both downtown New Orleans and the French Quarter. Considered one of the most haunted hotels in New Orleans, it might also provide you with even more of a magical experience than we could expect! Read more about Armistice Arcane here!